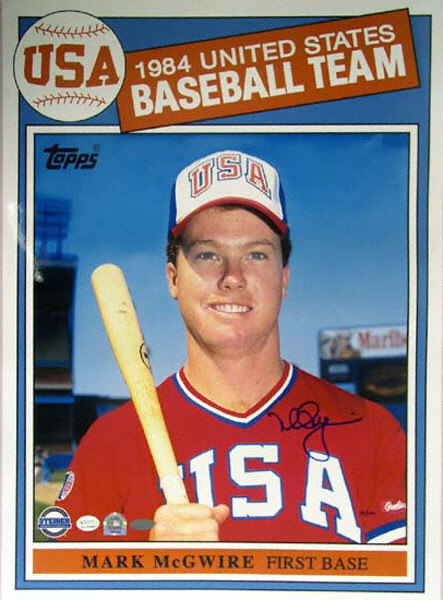 When baseball lost its status as an Olympic sport after the ’08 games, I admit, I was a little ticked off. How dare you take away my precious pastime, Jacques Rogge! But having immensely enjoyed the 30th Olympiad from London thus far, the truth is, I don’t miss it at all. In fact, if I want to watch the best baseball in the entire world, I just flip over to any of the 15 games being broadcast on my DirectTV Extra Innings package (do I get a credit for that plug?). And really, that’s the only reason needed for not including baseball as an Olympic sport. Remember how excruciating it used to be watching Olympic basketball without the finest athletes in the world participating? And that’s in a sport lucky enough to have worldwide appeal. Sure, we US Americans love our baseball, but the truth is, outside of Japan and a few pockets of Canadian air, the rest of the world could care less. In fact, unless you grow up around the game of baseball, it’s pretty darn impossible to learn the rules of the game. Believe me, during my four years in China, I tried like crazy to teach it to anyone who would listen. But after a few hours of mass confusion, people tended to pretend they had to be somewhere, anywhere, just to get away from the crazy white guy wielding a stick and three different leather gloves. Honestly, a professional-less international baseball tournament would be a pretty boring affair. The World Baseball Classic already features the best of the best, and even that has proven to be an extremely hard sell. What makes the Olympic games so appealing, to me, is that it really is a celebration of glory. The absolute greatest athletes in their respective sports, from LeBron James to Roger Federer, Mary Keitany to Usain Bolt and hundreds more in between, all come to the same place, and the world is watching. Albert Pujols ain’t gonna show up. Neither is Derek Jeter nor any other Major League Baseballer. And even if they did, the world wouldn’t care. Hate me ‘cuz I’m cool with the Olympics as is, just don’t hate me ‘cuz I’m right. In response to the twin shocks of the Great Depression and World War II, the allied powers decided to cooperate on a system that would hopefully prevent another catastrophic financial collapse. The plan they came up with, the Bretton Woods system, created two of the most powerful financial institutions in the world today, the International Monetary Fund (IMF) and the World Bank. Yes, he’s the former President of Dartmouth. Yes, he’s a founder of Partner’s in Health which has ostensibly helped many poor people in Haiti access health care. However, Mr. Jim Yong Kim is not a good dancer. He also has no background in economics despite that being somewhat germane to the subject matter. Actually, let’s really simplify this. Bud Selig is more qualified to be MLB Commissioner than Kim is to be World Bank president. Man, that statement even scares me. Lot of surprises so far this season. Should anyone be panicking yet? After the Rays and Red Sox picked up their first wins of the season on Friday night, I’m sure that both managers heaved a big sigh of relief. Of course when the Rays followed that up with news that Manny was retiring, I’m sure Joe Maddon dug right back into that Costco sized tub of Rolaids he must have been hitting the past ten days. So, I’m guessing that the Rays might be starting to panic. But if there’s one guy who should truly be panicking at this point, it’s not Joe Maddon or anyone else on the Rays. It’s not Manny, it’s not Big Papi and it’s not any once, present or future Red Sox. No, if there’s one guy who should be panicking, it’s Laurent Gbagbo. For those of you who aren’t quite sure who Mr. Gbagbo happens to be, let me give you a quick background. Mr. Gbagbo is a former Ivoirien freedom fighter who then went and got himself elected president of the Ivory Coast. However, he found Jesus while in office and after losing last year’s election, decided that Jesus wanted him to be the winner anyway. Since then he’s been trying to help Jesus out by killing people who voted against him. That hasn’t worked out too well, though, and now Mr. Gbagbo finds himself holed up in a bunker underneath his former residence while troops loyal to the president-elect slowly draw closer. Understandably, Mr. Gbagbo should be panicking. Funny enough, though, he doesn’t seem to be sweating it at all. Most likely there are a few reasons for that. Number one is that Ivory Coast is a basket case and rules don’t really seem to apply. Number two is that Mr. Gbagbo apparently has four months of supplies in his bunker and the troops protecting him have weaponry superior to that of the troops closing in. Number three is US Senator Jim Inhofe. Uh, wait a minute. Jim Inhofe? That doesn’t make any sense. Why would he care about what happens in the Ivory Coast? Well, if you ask Mr. Inhofe, he’ll tell you it’s about Jesus. See, the president-elect, Mr. Ouattara, comes from the northern part of the country, an area that is nominally Muslim, as is Mr. Ouattara. Mr. Gbagbo is from the southern, mainly Christian, part of the country and loves him some Jesus. Apparently where Mr. Inhofe comes from, this means that the election results shouldn’t matter and the US should recognize only the candidate who loves Jesus more. Actually Marc, I think I’m going to change my answer at this point. Sure, maybe the Rays and Red Sox should be panicking a little. And maybe Gbagbo should as well. But the people who should really be panicking are all of us Americans. With leaders like Mr. Inhofe supporting despots like Mr. Gbagbo, we’re all screwed. free pimp for your blog? How ’bout just finding out if Mr. Lung really has learned how to make his tootsie roll. by emailing kraulung@gmail.com or by commenting below.